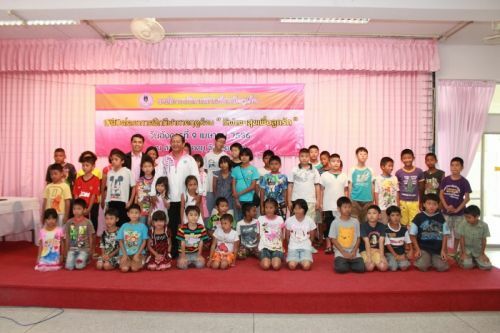 The 2013 Summer Sports Training Project aims to encourage Phuket’s children and youth’s to partake in sports and exercise activities during their summer holiday rather than being tempted to get involved with drugs and vice. By doing so, they will also increase their skills and lay the foundations for them to take part in sports in the future. One of the main training activities in the project is which has been taking place since April 4th and runs until May 10th, 2013, at the Baan Ao-Nambo football stadium in Muang District, at Wat Thep Krasattri School (Talang District) and at the football stadium in front of Kathu district office. The other activity is swimming, with lessons being held at the PPAO swimming pool at Saphan Hin. There has been a total of 240 children take part in the project so far with 140 kids enjoying the football and 100 getting into the pool. 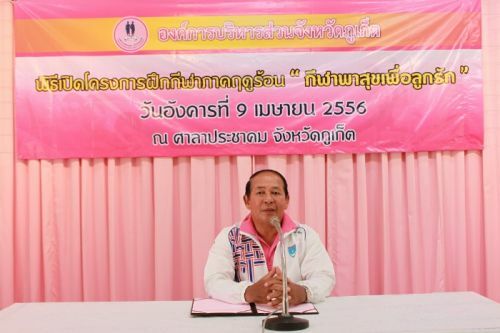 PPAO used a used a budget of around 482,000 baht for the project.